Try these on, from Friday Edition, 9 a.m. Eastern, Delta College, Q-90.1 FM, Public Broadcasting, NPR, Excellent. The Gypsy moths are hatching, and it’s much earlier than expected. Staffers with the Bay County Gypsy Moth Suppression Program say they’e found have a few gypsy moth egg masses that are now hatching. Officials say it’s the earliest time in the year that staffers have noted hatchings throughout the county. The population is still “extremely low,” but you should keep an eye out for tiny, 1/8th-inch caterpillars crawling around your neighborhood. When these caterpillars hatch, they climb to the highest point they can reach and wait for the wind to blow them to a new area, and food. 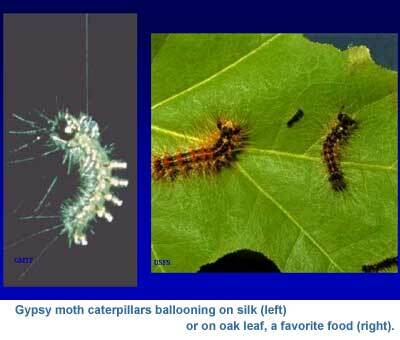 Gypsy moth caterpillars feed on trees. They can defoliate large trees in a few weeks, invade yards and recreational areas, and become a general nuisance to people living in infested areas, officials say. If you live in Bay County and feel the gypsy moth population on your property is increasing or have questions concerning invasive insects, you can call the Gypsy Moth program at (989) 895-4195 to make sure your area is surveyed. A Year of Energy for $857?! A Saginaw County homeowner has been awarded – again – for energy savings. Connie Rynalski of Saginaw Township first saved on energy costs at her home, through various efficiency measures. Then, she was awarded an Earth Day prize of $3,000 for going above and beyond in her energy-saving efforts. The award came from Cobblestone Homes, a Freeland-based homebuilder which conducted an Energy Challenge among almost 100 of its homeowners. They were challenged to save the most in utility usage compared to energy use projections during a 12-month period. Rynalski beat the energy projections for her home by the highest amount, paying $857 for an entire year of energy costs, including heating. That’s compared to more than $3,000 for a typical, 1,900-square-foot home. Cobblestone Homes has partnered with the Dow Chemical Co. in recent years to build Michigan’s first Net-Zero Energy Homes in Midland and Bay counties. How much is Lake Huron worth? 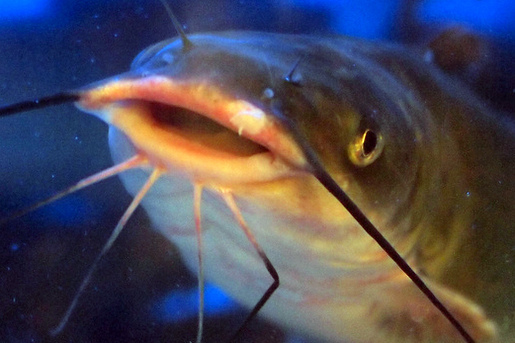 The U.S. Army Corps of Engineers has released a report on the valuation of commercial fisheries in the U.S. waters of the Great Lakes, Upper Mississippi River and Ohio River basins. The Commercial Fisheries Baseline Economic Assessment is part of Great Lakes and Mississippi River Interbasin Study. The report summarizes the latest annual harvesting data from state-licensed and tribal commercial fishing operations. The data will be used to help forecast impacts from potential aquatic invasives like the Asian carp. The report says the average commercial harvest level in the U.S. waters of the Great Lakes is estimated at 19.3 million pounds of fish, with an associated average value of $22.5 million. The report lists Lake Huron’s commercial harvest level at 3.5 million pounds, with an associated value of $4.6 million. Lake Huron contributes 18.3 percent to the total commercial harvest of fish on the Great Lakes and 20.2 percent to the total value of Great Lakes fisheries. The lake has seen a decline in commercial harvest levels since 1989. The maximum harvest level in the 1990s was 5.3 million pounds, accounting for almost 21 percent of the total commercial fishing harvests on the Great Lakes. The top harvest level since year 2000 has been about 4.7 million pounds, or about 25 percent of all commercial fish harvesting in the Great Lakes. The report examined data from 1989 to 2009. The study plans to release an assessment later this year on recreational fishing.